Don’t expect much though, we just got to see his silhouette. First things first, the chapter begins with Sanji‘s soba noodles, which are still the talk of the town. Robin, Franky, and Usopp have all gathered at Sangoro’s stand, so that they can taste the cooking they have surely missed. After all, they haven’t seen Sanji since Dressrosa! They are all pretty funny, with Franky eating with his small hands, Usopp having the oil toad on his head, and Robin being dressed with her beautiful kimono. I’m sure you all have missed these guys as much as I did. Franky then scolds Sanji, asking him to add more spices to the soba noodles, so that more samurais (who are potential allies of course) will gather to eat there. At last three samurais actually reach the stand, their names are Kaky, Kuni and Suke, and they come from the Kyoshiro Samurai family. Robin remembers that she had to perform in front of Kyoshiro a few days back. One of the 3 guys decides to spill the food of a little girl (which interestingly laughs and cries at the same time), and that of course does it for Sanji. We know how much he hates wasting food. Sanji starts pounding these guys and Franky naturally joins, using the iron suplex move he seems to have picked up from his fight with Senor Pink. Here we of course should remember the epic and emotional fight between Franky and Senor Pink from the Dressrosa arc. Unfortunately, the third guy manages to slip away. We should probably await reinforcements or something from this guy. The saved little girl jokes about her name. Her name is Toko, which when you add O in front of (like is done with female names in japanese), it becomes o-toko, which is the same as the word for man, otoko. Toko reveals she is a kamuro. Kamuros are basically young girls who are in training to become future courtsesans. Then, Robin’s geisha master appears, a granny who carries her shamisen-instrument everywhere. She informs the crew that the really famous courtesan named Komurasaki will shortly appear, on her way to the shogun’s place. She is actually treated like a rock star or goddess or something, with people waiting to see her on her parade kind of move to the shogun’s place. Many actually pass out from her beauty :D.
This happens in what is called as the courtesan’s procession, where the courtesans parade through the street with their complete entourage, accompanied by all their attendants. The courtesan is going to the shogun’s Orochi’s Castle for a banquet. Actually, Robin is informed by her granny master that she should also go to the castle herself, so that she will perform as a geisha. Before we move on let’s provide some clarifications. The courtesan or oiran was considered a type of yujo, or woman of pleasure. However, they don’t just sleep with the clients. They know different artistic arts to entertain the clients, besides sleeping with them. They shouldn’t be confused with the geishas, because the geishas, like Robin, only perform to entertain the clients and never sleep with them. He is probably like the Yakuza leader or something. He even has the classic Yakuza Pompadour hairstyle. Because he is invited to the banquet as well, he asks for assassins to go after Sangoro. Good luck to them I must say :P.
At last we reach Orochi’s castle, which of course is the tallest building in the Flower Capital of the Wano Kingdom. Of course the shogun Kurozumi Orochi wants Kumorasaki to become his. We finally are able to witness a shilhouette of the shogun, which surprisingly is a figure of 5 dragon heads. This confirms many different theories that have been floating around, about Orochi being based on Yamata no Orochi from japanese mythology. Yamata no Orochi, which literally means 8-branched giant snake, is a legendary 8-headed and 8-tailed japanese dragon. Of course in this chapter we were able to witness 5 heads, but probably the rest 3 are there as well :P.
How strong is the Shogun? It’s interesting to theorize at this point about how strong the shogun really is. I believe that he actually is really strong, and maybe his power comes from a mythical zoan devil fruit, which we haven’t seen any since Marco‘s I believe. That may mean that he is an associate of Kaido, and probably helped him in overthrowing Kozouki Oden. An alternative idea is that his power comes from a smile, an artificial devil fruit, something we have seen a lot with Kaido, his calamities and his subordinates and army of artificial devil fruit users. However, the shogun may even be just a tool that Kaido has used. Kaido helped Kurozumi Orochi to become the shogun, and Orochi helped Kaido overthrow Oden and take the reigns of Wano for himself. 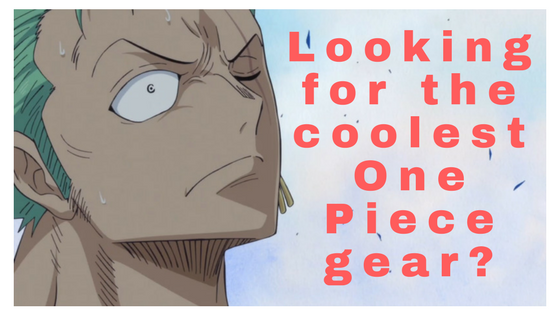 Next week there is a break for the One Piece manga, so we may able to share some additional theory or product review until then. Hope the review and reactions of the One Piece Manga Chapter 927 was interesting. We got to see a silhouette of the shogun, Kurozumi Orochi, and this was a 5-headed dragon of course. Question of the Day: How strong do you think Kurozumi Orochi, the shogun of Wano is? From where do you think his power comes from? Is he an associate of Kaido, or just a tool he used? Let’s start the discussion in the comment section below. I’ll be honest and say I fell kinda behind I’m watching this anime, but I absolutely love it. Luffy is an amazing character, and I love when he gets a new transformation. What are some of your favorite parts in the manga so far? Mine is when he went to gear 3 and did a super punch to kill his enemy.. 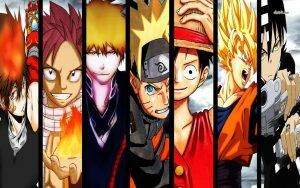 Difficult question about the favorite manga. There are so many epic moments. I’ll talk about the recent mangas to narrow it down, and choose the Luffy vs Kaido chapter. There also Kaido’s fruit was shown and confirmed a theory we had here!